What actually pulled all my attention to the stall was the following tee. Hilarious. 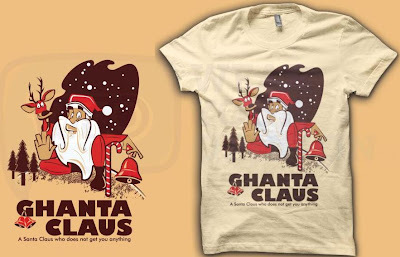 This Christmas we introduce – Ghanta Claus – a.k.a Sant Baba Ghanta Wale. But here is the catch - this Baba will not get you anything. Whether you have been naughty or nice doesn't interest him either. What he can promise is a lot of laughs once you buy this tee. So what are you waiting for? Buy this tshirt and let the Balle Balle of merry Christmas begin!" If you are girl reading happily that you found something to gift someone special then here is the link to the shop. If you are girl thinking whats there for me? Its only for boy you said then I must introduce this text here - They also sell in female fitting. 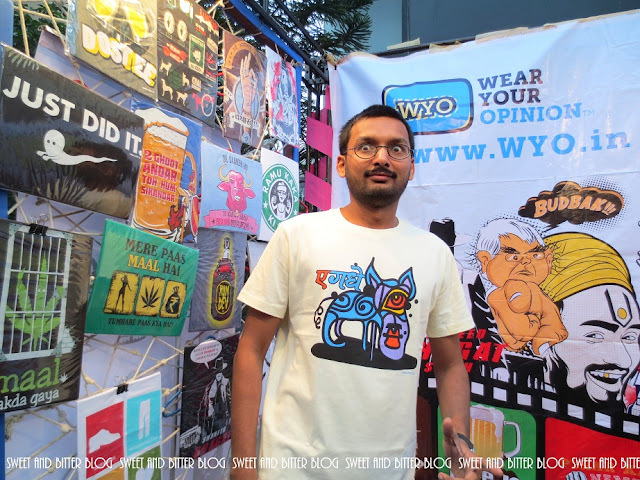 In case you are kind of girl like me who is still stuck on the word Stall and thinking what stall and where then I must say - Same pinch for being as wierd as me and the stall was outside Forum mall, Elgin Kolkata. There is a fair kind of thing there with loads of young designers and peppy things. They also have DJ and food there - brownies, pasta, etc. Do visit. I am thinking of going there again but I have too much piled up for me now. Arghhhhh. 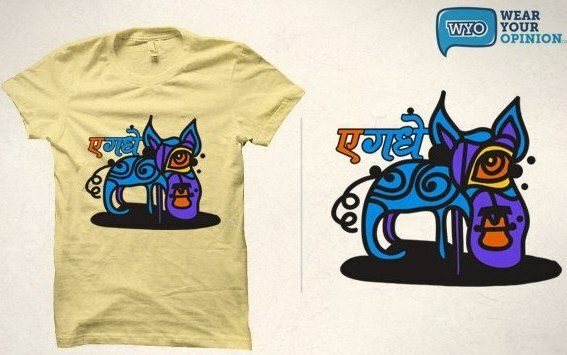 Cute stuff :) You should check out Captainkyso.com, they have very cute tees too!